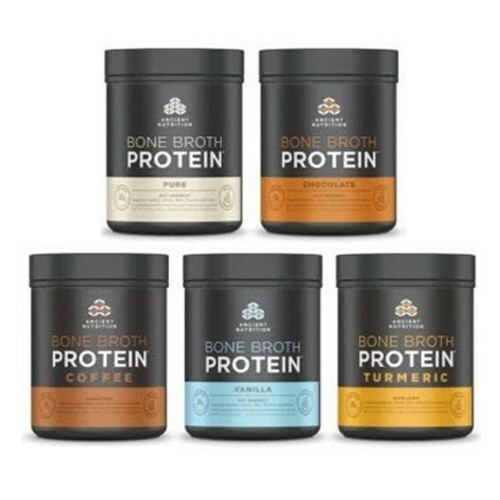 Bone Broth Protein Powder (20g protein per serving) Ancient Nutrition produce this ultra clean nourishing protein powder that is smooth to blend‚ convenient to use and easy to digest. 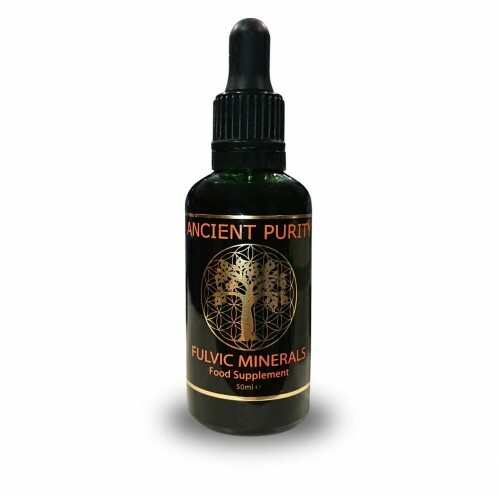 Supports Healthy Joints‚ Skin‚ Muscles and Detox. 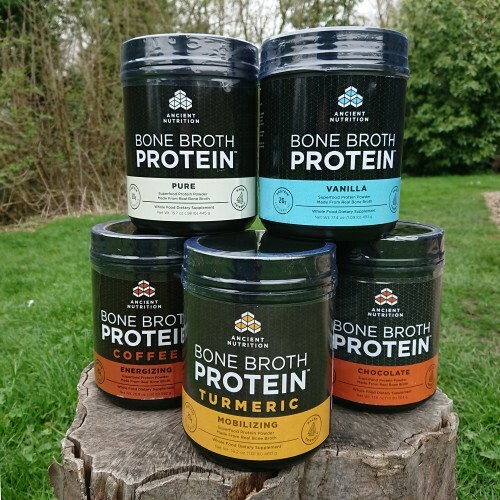 Bone broths may be the “hottest trend in health” today, even though it is centuries old. In fact, just about every culture throughout history has used a form of bone broth. 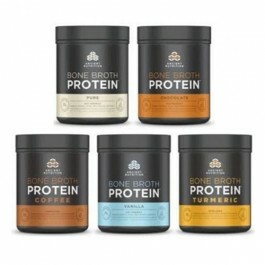 It’s a breakthrough in protein supplementation that delivers the homemade bone broth in a convenient, easy-to-mix form. BONE BROTH PROTEIN FEATURES: Collagen type II, glucosamine, chondroitin, hyaluronic acid and 19 amino acids. Supports joint comfort, flexibility and mobility. Supports knee comfort and healthy function. Joint-health benefits reported as early as 3 weeks. 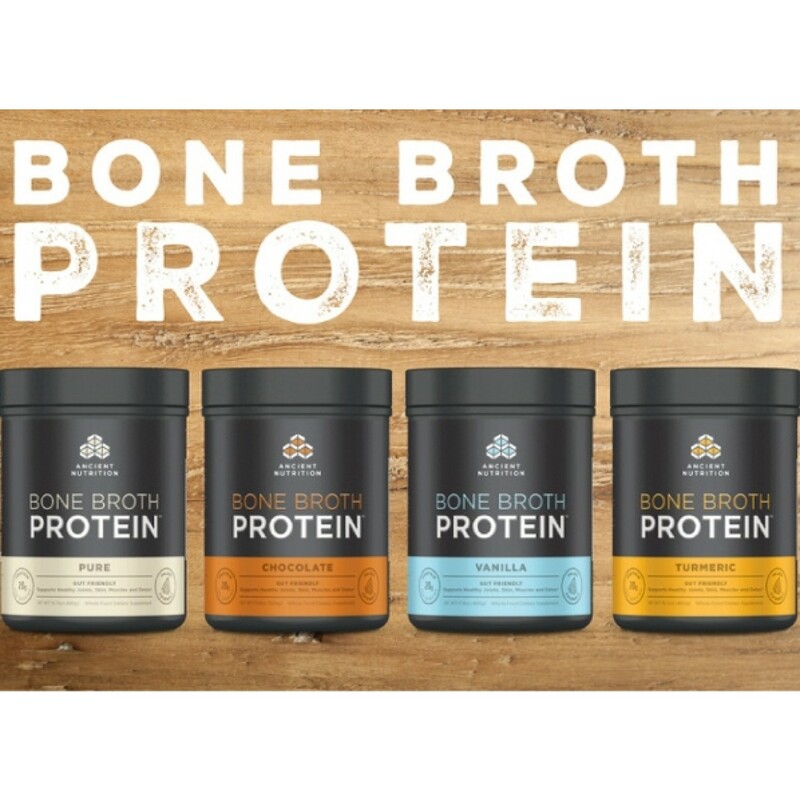 Supports key areas of joint health. Supports joint comfort, flexibility and physical function. 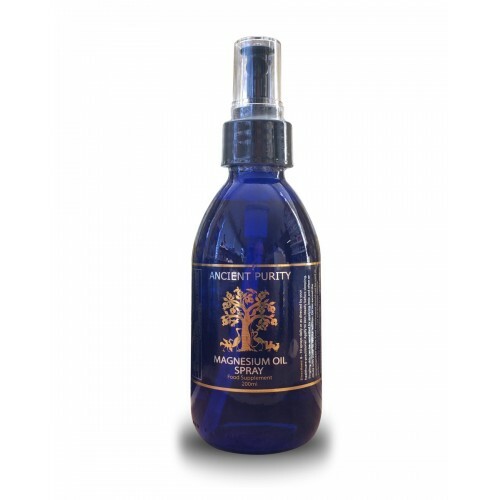 Helps maintain healthy joint space. Each indiviual Flavour has slightly different ingredients. Take one level scoop (included) in large glass of water‚ juice or in a smoothie or protein shake one or more times per day. Great with almond‚ cashew or coconut milk or added to your favorite recipe. Can be enjoyed warm or cold. Container: BPA Free Plastic tub / Natural Grip Seal Pouch.